You Exfoliate Your Face, But Do You Exfoliate Your Scalp? 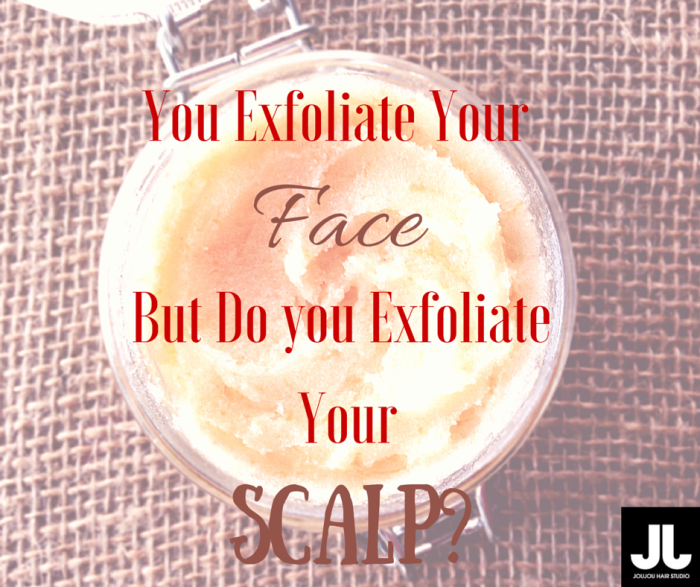 Most of us exfoliate our face, our body but have you ever considered exfoliating your scalp? How often do you think about your scalp? Do you massage it? Did you know that our scalp is one of the most neglected parts of our body? Severe hair damage and premature hair loss are sometimes the result of scalp neglect. It is really weird how the scalp is the most neglected, when it provides all the necessary nutrients to the hair root to make your hair healthier and stronger which is our main hair goal! Exfoliating the scalp is very simple and can be done 1-2 times a week before, during, or after you shampoo or condition your hair. You can either buy products that are used for exfoliating the scalp, or get creative with whatever is in your pantry. Keep in mind that when you do exfoliate your scalp, that it must be done gently. Always scrub gently with the pads of your fingertips, NEVER scratch! Do you exfoliate your scalp? If so, what are your go- to scrubs? Drop us a comment below! With a vivid shift from dark to light hair, ombré was at the top of its game for several seasons. Now that it is spring, we enter a new and better opponent for ombré called sombré; a re-imagined version of the gradation. Enter sombré (subtle + ombré), a colouring technique that allows for a softer, more natural diffusion. Think color that gradually fades from top to bottom. It’s a look that seems more refined, and is absolutely appropriate for office environments. The best thing about this new colour trend is that any hair colour can rock this look whether a brunette or a redhead as the gradient isn’t as obvious and harsh as ombré. Colour pairing ideas to consider: sun-kissed warmth for blondes, shimmer bronze on brunette, redheads with rose gold and cinnamon for deep darks. 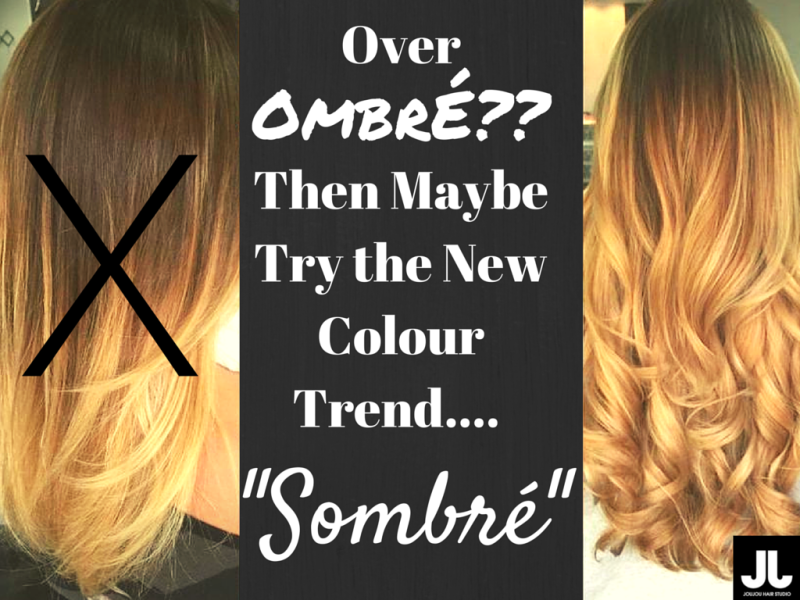 Like its cousin, sombré is very forgiving to growing roots, and you’ll have a higher chance of being able to skip a couple of appointments between colourings than usual. The cost for this look is forgiving as well (just like its cousin ombré) where you can achieve sombré with a single process and final toning glaze for shine, which means it is less costly than the other complicated colour options. With sombré, maintaining gently contrasting depth is all a part of the technique. Looks like this trend is going to be around for a while. Will you be trying this new hot trend for spring? 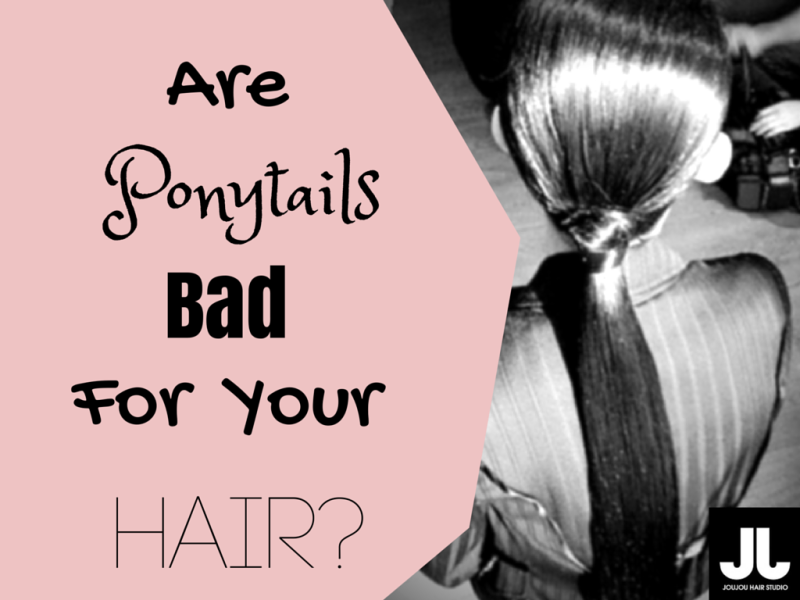 Are Ponytails Bad For Your Hair? Ponytails are convenient and useful but is it also damaging? Tight ponytails yank on the delicate hairs at the front of the scalp. These strands are the most susceptible to damage by traction (pulling) and over time they can fall out. While the hair loss is temporary, if you are addicted to ponytails and you especially wear them tight then you are putting your hair at more risk for permanent loss around the hairline. This could also happen when you wear your ponytail in the same spot as well. Change the location- whether you wear it at the crown, low, side, high, just make sure it’s not in that same location every time you wear a pony. You may not damage the roots but you can break the shafts. Use the proper ponytail holders- fabric covered holders are great and reduce the chances of your hair getting snagged. If the elastic becomes exposed, toss it there is no point in keeping it. If you don’t toss it that same holder can end up in your purse as one of your back up ponytail holders and then you are in snag central. A great idea is to use the flat elastic ribbon holders that have become more and more popular due to the benefit of distributing the tension, which their traditional counterparts lack. Lastly, beauty is pain but do you really want a headache just so you can get the perfect top knot? If it’s too tight loosen it up. Maybe a messy bun will suffice. Or better yet wear it down. Let your scalp breathe every once and a while. Your nerves will thank you. Do you know of anymore ways you can rock that fierce ponytail with minimal damage? 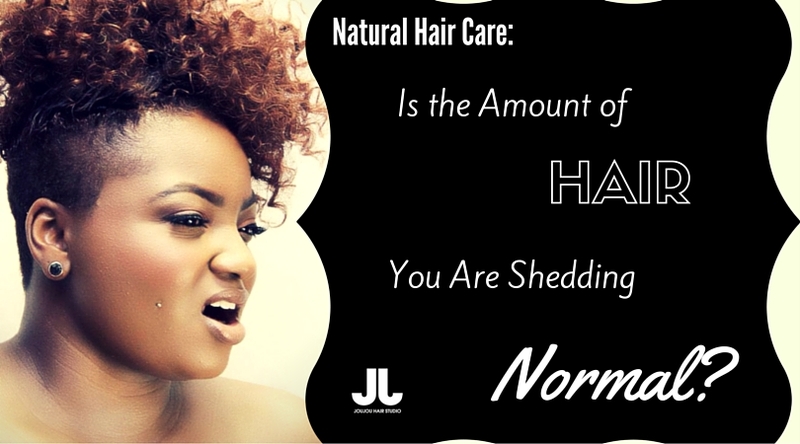 NATURAL HAIR CARE: IS THE AMOUNT OF HAIR YOU ARE SHEDDING NORMAL? We all know that the average amount of hair we shed a day is between 50-100 strands, but sometimes it looks a lot more. Don’t fret! Here are a few ways you can determine if the amount of hair you are shedding is more than the average amount and if that is normal. How dense is your hair? So apparently the more strands of hair you have on your head, the more you shed. Great huh. Also the denser parts of your hair will shed more, so that means if you have denser hair on the left side of your hair it will shed more than your right. Is the volume of hair you are shedding consistent? Keeping track of the hair you shed might help you to determine if it is normal or an excessive amount. Look at the size of the hair ball and see if it remains the same size week after week on wash days. Are internal or external factors affecting your shedding? Nowadays with the modern day women juggling work and home, stress can be a huge factor in excessive shedding and even hair loss. Nutritional deficiencies as well can be a huge factor of excessive shedding. If the problem isn’t internal then it is external. It could be a product you are using that is “disagreeing” with your scalp and causing irritation. Once you determine these factors, you are right on track on to figuring out if the amount you are shedding is normal. What do you do to determine how much hair you are shedding?